Nobody really enjoys vacuum cleaning, and that’s why the idea of robotic vacuum cleaning is a dream to all of us. Sure, vacuum cleaners have served us a great deal for the better part of the last few decades, but then technology has discovered a better and friendlier option in robot vacuums that truly makes us live like the Jetsons in a smart home. There is an increasing number of robotic vacuum cleaners being released each year, and buyers are facing a hard time choosing from the array of options at their disposal. You don’t have to sort through that anymore, because I did that for you and below you will find five of the best robot vacuum cleaners on the market right now. Going at $700 (£460) per unit, the iRobot Roomba is believed by many to be the world’s undisputed number one option right now, and there is a reason for this. Basically, the iRobot Roomba was the first ever vacuum cleaner of this kind to hit the market, and its latest version, the 800 series, is really worth the hype. The machine features a technological advance called AeroForce Performance cleaning system that blends an airflow accelerator, tangle-free extractors and a super-efficient vacuum to boost suction and trapping of debris. It also comes with some exclusive features such as a docking and recharging HomeBase dock, a long-life battery, Virtual Wall LightHouses and a remote control to restrain the machine’s movements. The 3.6-inch high, 13.9-inch wide and 8.4-pound heavy robot offers several movement patterns that are perhaps its biggest upside. It has multiple ways of detecting dirt and features cliff detection programming which ensures it doesn’t go crumpling down stairs. On the flip side, there have been complains over the under-detailed user manual and lack of a smartphone interface. Here’s another player you wouldn’t discuss the robot vacuum game without mentioning. The BotVac D80 goes at $499 (£328) and does a couple of things differently; it utilises a D-shape – for better corner cleaning – rather than the traditional round bot, has a larger dirt bin, makes more efficient logical back-and-forth movements instead of the random method employed by cleaners such as Roomba, quieter operation, 50% bigger brushes than those on round robots, and boundary markers (magnetic strips placed on floor positions you don’t want the cleaner to reach). Just like with the Roomba, users are complaining about lack of smartphone interface, whose presence they think would provide for additional monitoring. Manufactured by Korean company, Yujin Robot, iClebo Arte has been Asia’s market leader since 2005, and is now making a stronger foothold in the U.K market. The cleaner uses camera-vision mapping to guide it through your floor, and, unlike most other popular vacuums, can be used as a vacuum cleaner as well as a mopping system. According to reviews, the 3.5-inch high, 13-inch wide and 6.1-pound heavy appliance has a longer lasting battery, is quieter, has an easy-to-clean dust bin, and one consensus that the vacuum knows where it has cleaned and where it hasn’t. On the negative side, some reports claimed that the cleaner gave up the ghost immediately its thirty-day warranty was over. If energy-saving and versatility are major concerns to you, then you have one more appliance to add to your house: the Infinuvo Hovo 510. The cleaner can be used as a mopping machine, can do spot cleaning, can auto clean, and self-docks when battery is low. One obvious flaw about Hovo 510 is the fact that there is some unnecessary contact between the spinning brush and one of the vacuum wheels. There is also a general suggestion that the cleaner is good for hard floors such as wood and tile but not for carpet and pet hair. It does an excellent job on the room’s outside perimeter but fails to clean the middle of the room well. On the whole though, the vacuum’s ease of programming, relatively low cost (£157), ability to automatically turn off when stuck, and its easy-to-clean brushes and dustbin earns it a place in this list. Going at $150 (£98), this robot vacuum cleaner is best for you if you have a tight budget… and some serious patience. While it’s basically a pared-down version of other members of this list, the P4960 V-Bot has its own upsides. It has been reported to work well on hard floorings with pet hair, and thanks to the included electrostatic paper, the cleaner can be used as a mopping bot. 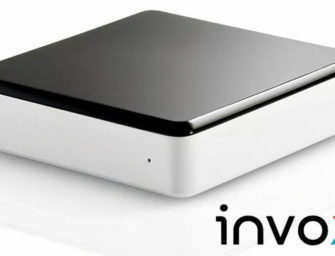 It works quietly and, just like the Infinuvo 510, it switches off if it gets stuck. The appliance is relatively big, lacks a docking system, cannot be remote controlled, and takes quite a long time to have the battery fully charged (10-12 hours). Before you make your decision of which of these world beater appliances to buy, here are a few aspects you need to consider. A good robot vacuum cleaner should have a solid attack plan where floor cleaning is concerned. The crème de la crème models out there provide for multiple sweeping patterns; from random sweeping to the natural back and forth pattern to following the walls etc. While some cleaners use depend on artificial intelligence to memorise room layout, most are equipped with magnetic strips or laser beacons to sense objects and stay within boundaries. All robot cleaners are powered by in-built rechargeable batteries. There are significant differences in life span and quality of these batteries among contenders, and it would be worthwhile scrutinising them before settling on a brand. Robot cleaners with the best batteries can move through thick pet fur and carpeting easily, and complete a whole cleaning cycle, before returning to the charger base automatically. Of course everyone would want to go for the cheapest option there is, but in this top five, a higher price could translate to a higher quality robot vacuum cleaner. Some simple but very important features such as ease of maintenance, obstacle avoidance, advanced filtration systems, higher capacity collection bins and use of remote controls set some vacuum cleaners apart from the rest, and should thus be prioritised. From the reviews, you can see that none of these robot vacuum cleaners are flawless. They all happen to get stuck or stop occasionally, and the technology hasn’t hit anywhere near its peak yet. Nonetheless, robot vacuum cleaners are far better than the old manual ones. We are thus compelled to take the bad with the good, hoping for better technologies and inventions in the future smart home appliances. What about you? Which robot vacuum cleaners made it into your top 5 list? Do you already own one? Let me know in the comments!